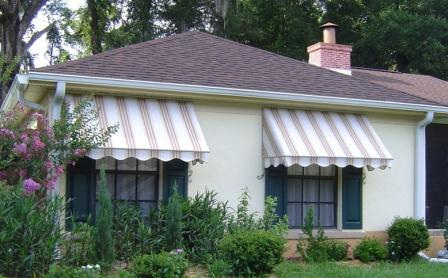 We are proud to be the exclusive dealer Durasol Awnings for residential applications. 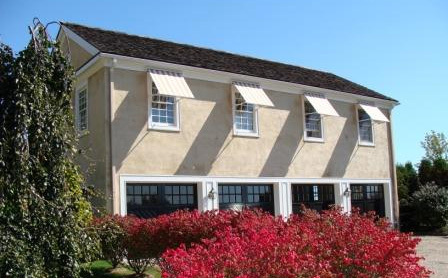 Durasol’s window awnings offers an elegant and practical way to protect a home from the sun’s harmful rays. Custom-made and professionally installed, our comprehensive line of residential window awnings offer the control you need to maximize your indoor comfort and control cooling costs, while adding architectural interest to your home. The SunGuard® Topaz from Durasol is perfect for windows up to 16′ wide. When retracted, the sleek design of the cassette enables the front bar to fit snug with the rest of the unit for a sleek, compact appearance. SunGuard® SunCatchers® from Durasol contain four different styles to choose from. Retractable or stationary, there is a style to meet your unique need.